← Beware of the Pharisaical Mindset! The operative words in the fourth step are fearless and searching. The Fourth Step was a valuable tool for my personal growth. I was so obsessed with the behavior of an alcoholic, and steeped so deeply in my own addictions, that I developed a limited sense of myself. Who I am. I lost sight of my personal goals, neglected my potential, and had become too concerned with my attempts to change or manipulate others. My good qualities lay hidden behind a deep sense of frustration and fear. The fourth step provided thought-provoking questions about my fears, my intimate relationships, my values, my self-worth, my spirituality, and other concerns, and guided me in “making a searching and fearless moral inventory” of myself. Author’s note: Most verbs in my account of my fourth step are in past tense. However, we don’t do one-and-done 4th step inventories. I have needed to do a fourth step inventory at several junctions in my life. In fact, I’m doing a fourth step inventory now on a dysfunctional behavior I’ve had since I was seven or eight. It has been with me that long and I have neglected taking an inventory to see what caused it and how I can recover from it. My fourth step inventory requires that I examine the child who developed dysfunctional behaviors, identify the flaws in my character, then teach that child responsible, healthy behaviors. It’s one of the hardest things I’ve ever done. I had to be brutally and shamelessly honest with myself about myself. If I hadn’t done my 4th step my recovery would have stalled, and I’d probably be as dysfunctional as I used to be before recovery. An inventory is not an exercise in beating yourself up. I had to be scrupulously honest but fair to myself. An effective inventory required me to identify strengths as well as my defects. In this Fourth Step I began to discover my values–what I consider right and wrong, functional and dys­functional behavior–and how to live up to the standards I determined belonged to me. My fourth step was about who I was at the time of my inventory, not I was when I was living in my flesh in my addictions.It was not easy. The step means I had to take a deep look inside myself to determine two things: the character defects I wanted to change (flaws in my behavior and beliefs) and the things about myself I liked. When I did my first fourth step (it’s an ongoing life habit for those of us in recovery) and looked inside myself for the very first time (believe me, it’s hard to be fearless if you’ve never done one of these before) I did not like what I saw. My list of things I didn’t like was about seven times longer than the list of the things I liked about myself. I was uncomfortable looking at myself in that fearless and searching way. A friend of mine in recovery looked at my list and said I was cheating myself. If I was going to be honest with my inventory I had to look at all the positive characteristics about myself. He said there were plenty more good things about myself than I had listed. Fearless when you’re looking inside yourself is tough, especially when you’ve never done it before. A “Moral” inventory is inclusive of all the values and principles I live by. I tried three or four times to begin my inventory. The first time I tried, I could not put the pen on the pad. I couldn’t write anything. I was rushing this part of my process. I was not ready. I had not completed the third step–turn your life and your will over to the care of God as I understood Him. When I finally reached the point being honest with God about who I was, I zipped through my first fourth step in about 15 minutes and wrote four pages. What a blessing it was when I became honest with myself and had the courage to look inside myself and discover who this guy was God had made. Blueprint for Progress is an inventory in booklet form. Blueprint provides thought-provoking questions (none of which are fun to answer) about your fears, relationships, values, self-worth, spirituality, and other concerns, and guides you in “making a searching and fearless moral inventory” of yourself. The Fourth Step can be an essential tool for personal growth. Many of us have been so obsessed with the behavior of an alcoholic that we developed a limited sense of ourselves. We may have lost sight of our personal goals, neglected our potential, and become too concerned with our attempts to change someone else. Often our good qualities lay hidden behind frustration and fear. To review a real 4th step inventory, follow this link. 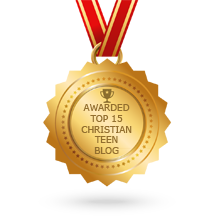 This entry was posted in A CLICK A BLESSING TODAY, CHRISTIAN FOUNDATIONS OF BELIEF, CHRISTIAN LIFE AND THE WORD, GOOD NEWS FOR YOU, WONDERFUL WORDS OF LIFE and tagged 4th step, character, character flaws, Child, flaws, inventory, Personal, recovery. Bookmark the permalink. “Behold, thou desirest truth in the inward parts: and in the hidden part thou shalt make me to know wisdom” Psalm 51:6. To thyself be true – if we are not truthful to ourselves even with the greatest pain, we cannot seek forgiveness and progress to healing. Only when our shortcomings are identified can we focus on improving and moving forward. May the Lord help each of us to be true to ourselves and before Him. He promises us strength to overcome our weaknesses. So let us not foolishly deprive ourselves of His offered blessings, with wisdom. Thank you so much for the blessings of your replies, your encouragement and your heart for the Lord. Psalm 51:6 is so awe inspiring and so full of truth for us who are seeking to live in the love, care and wisdom of God. Thank you for sharing. the ways you allow God to use you to touch the lives of so many people is a blessing to me.